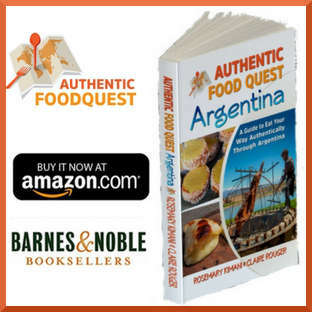 Running and exercising are fundamental components of our routine while on our authentic food quest. 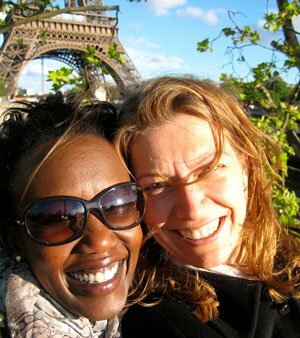 No matter where we are in the world, we always seek out ways to stay fit and healthy. 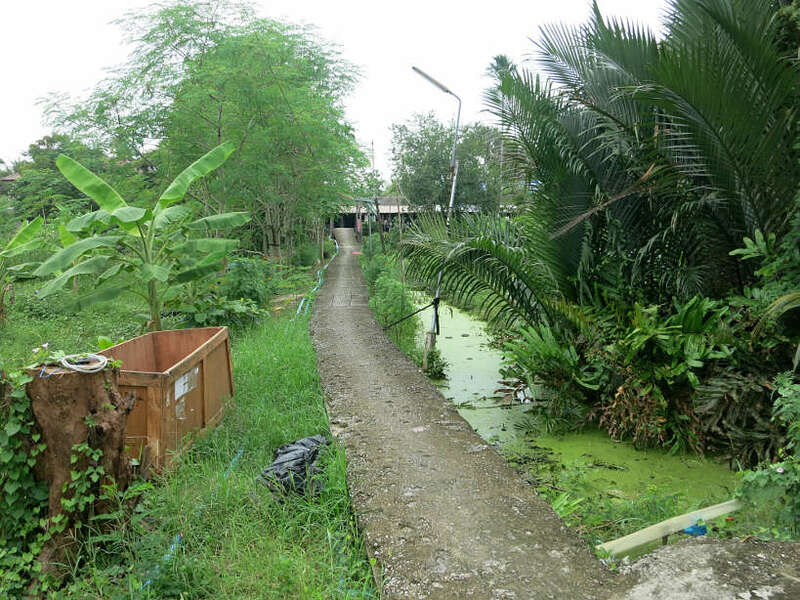 In Southeast Asia, running in urban cities has proven to be quite challenging. 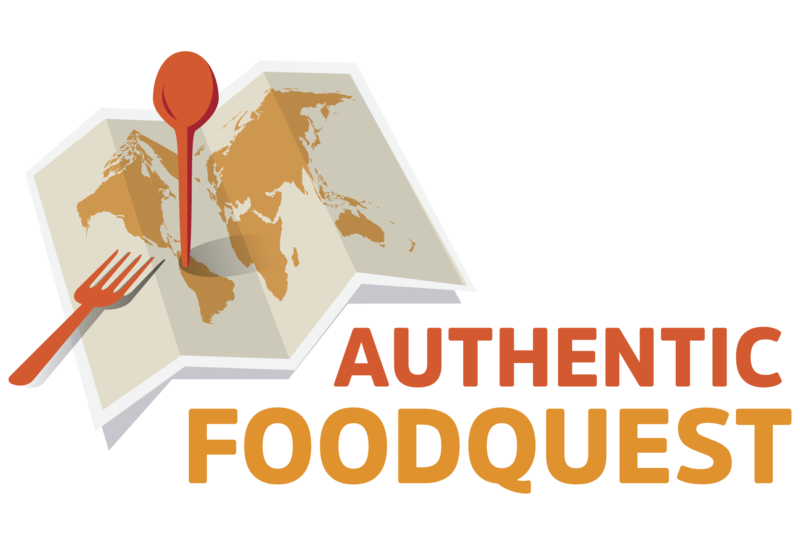 With Bangkok being a key destination on our authentic food quest, we were concerned that the challenges of finding places to run would be greater than finding local and authentic food. Fortunately, it turns out that we were wrong. Running in Bangkok has been ideal and has allowed us to combine our daily activities: eating and working it out. This is the perfect combination of activities for your fitness vacations. While running in Bangkok, we not only discovered two incredible places to exercise, but also awesome local food joints. So, let’s move our body and open up our appetites! 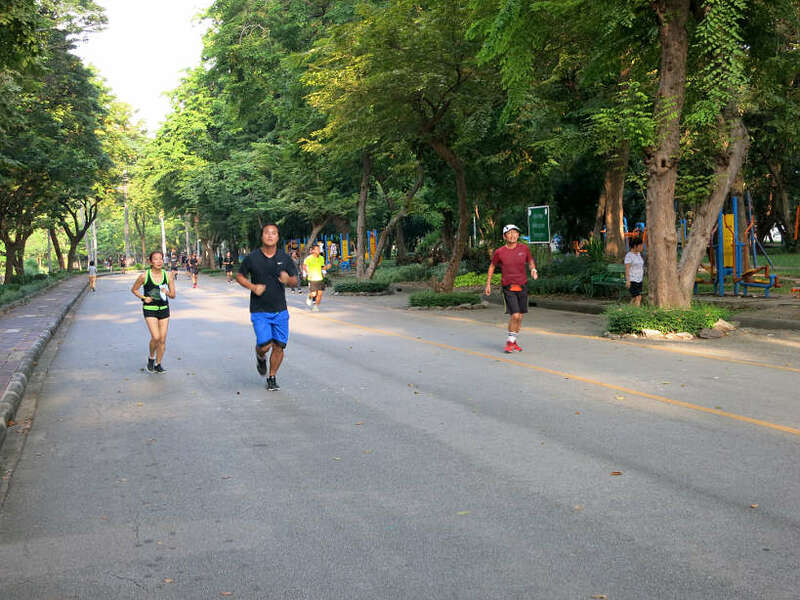 Lumpini (also Lumphini) park was our favorite place to go running. It is Bangkok’s biggest and oldest park. The 142-acre park is among the world’s most beautiful parks, rubbing shoulders with Central Park in New York, Hyde Park, London and Griffith Park, Los Angeles. This oasis in the middle Bangkok’s hustling and bustling pace makes a great place to exercise or go running in Bangkok. To keep fit on your travels to Bangkok, here is a list of some of the options you have available. Running is our favorite way of keeping fit and staying healthy. What we like about running is that there is no equipment needed or club to join. You simply put on your running shoes and outfit and can pretty much run anywhere. In Bangkok’s Lumpini park, there is a 2.5 kilometer loop, that wraps around the park. 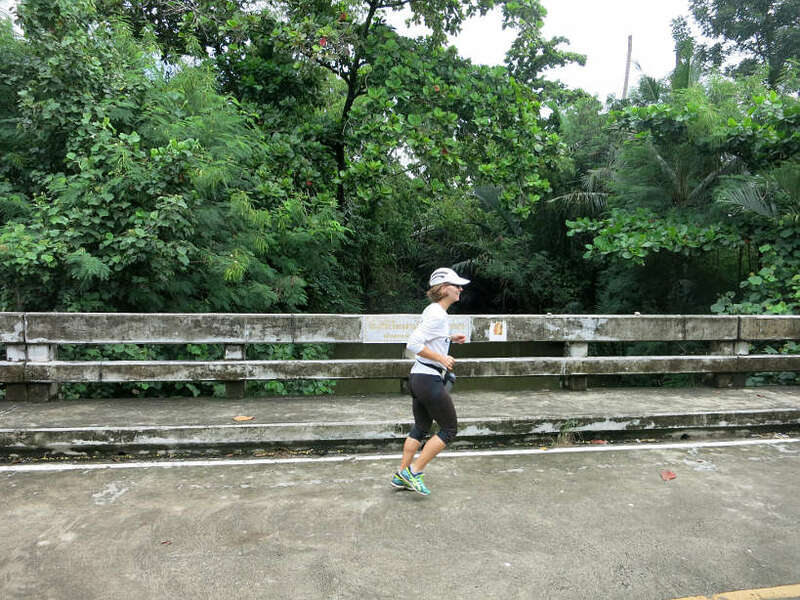 You will find many runners, both Thai and foreign, running loops to keep fit. 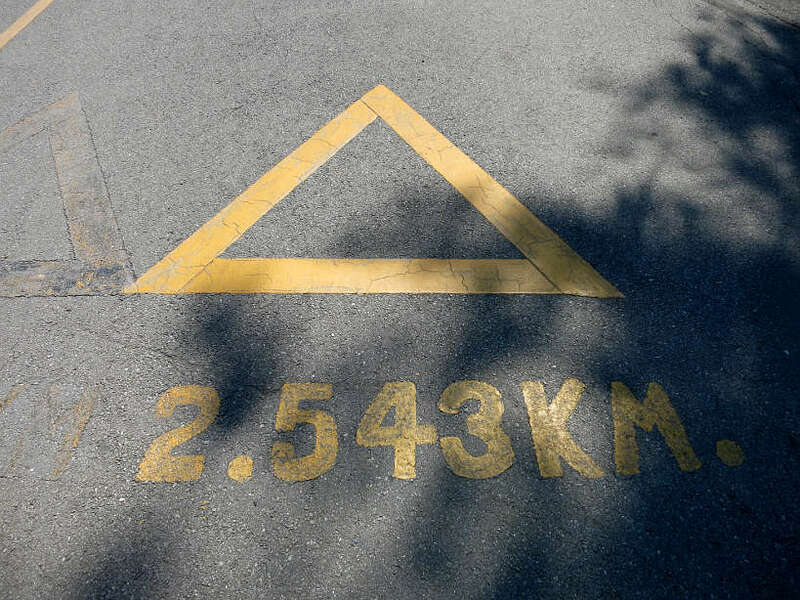 The running path is wide open and well marked. It is also shaded by trees and there are no dogs, smoking or cars allowed. On the outer edges of the path are areas designated for walkers. If you prefer not to run you can still break a sweat by speed walking with locals around the loop. Early mornings before 9am or at sunset are the best times to go running in Bangkok. 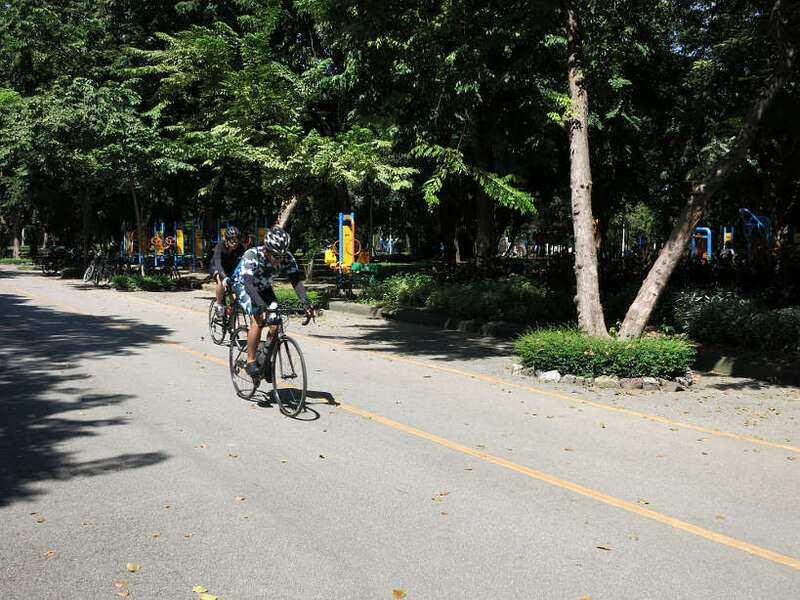 Bikers also get to enjoy Lumpini Park, but only from mid morning to mid afternoon. The path opens up to bikers from 10:00 am – 3:00 pm everyday. If you find yourself running around the loop close to 10:00 am, move over and let the speeding bikers through. 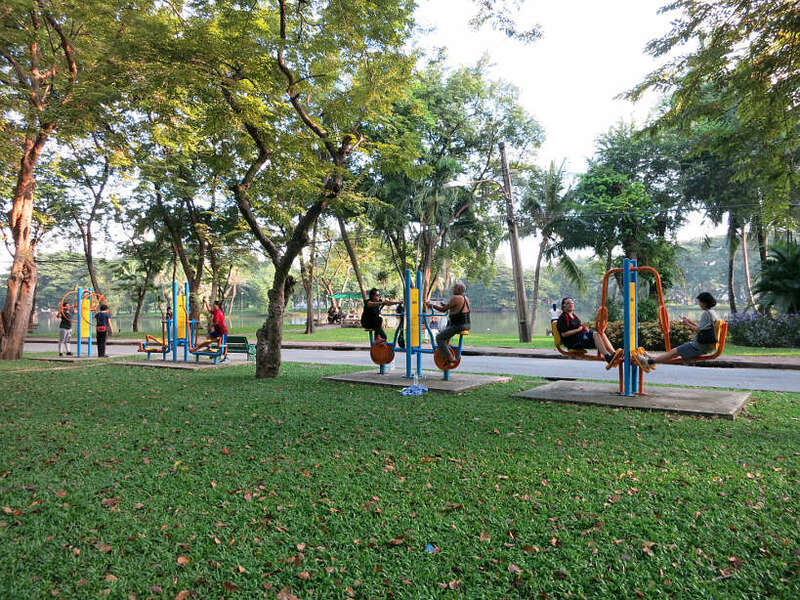 Centrally located in the Lumpini park is a well equipped open-air gym. There are plenty of workout machines covering all the major muscle groups. The equipment is free to use and there is generally no waiting between machines. On one corner of the park, near the Chinese clock tower is the muscle gym. 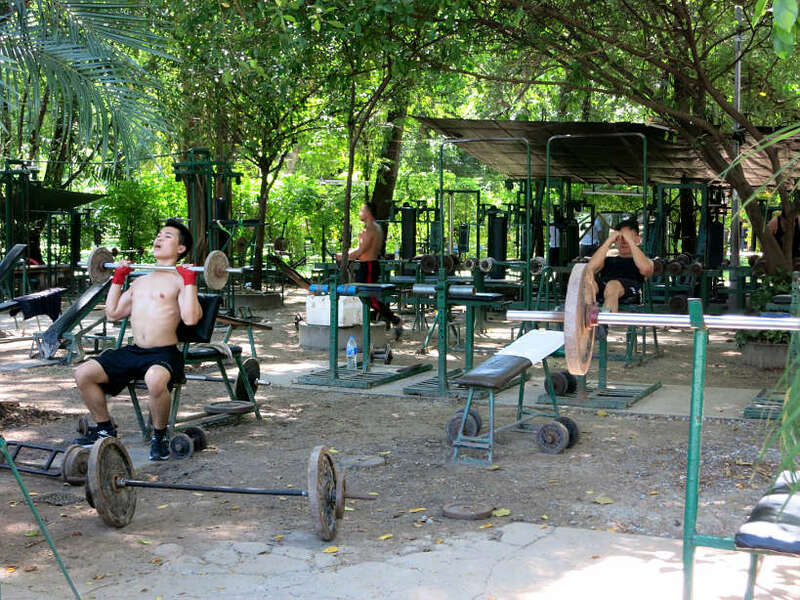 Like the muscle beaches you find in Venice Beach, CA or on Ocean Drive in Miami, Lumpini park has its own version. You will see buffed up men…and only men, huffing and panting as they bench press and show off their oversized biceps. If you are going to be in Bangkok for an extended amount of time or if you like working out the in the middle of the day, joining the gym could be your best option. Bangkok can get oppressively hot during the day, and paying for a gym, which also has a swimming pool can be a good idea. While we did not sign up for this gym, we stopped in to get information and were surprised by their requirements. Most surprising was that you had to wear workout clothes that were loose fitting and pants that covered your knees. This meant shirts with sleeves (no tank tops) and no shorts. In addition, you need to bring with you a clean pair of tennis shoes (can’t walk in with them). To use the swimming pool, you need a bring a medical health certificate. For the actual swimming, your head needs to be covered and the use of goggles is mandatory. The membership fee is very reasonable, at about 40 Bhat per month (approx $1.12 USD). Don’t forget to bring your passport and information with your local address. If running in Bangkok is not your sport or you would like to try something different, you can join a free aerobics class in the park. Not far from the main entrance, at the bandstand near the King Rama VI monument, are daily aerobics classes. Since we would work out in the mornings, we would see many people, mostly women, of all ages jumping up and down to Thai style exercise music. The aerobics classes take place between 7:00 am – 8:30 am and also in the evenings at 5:00 pm. Open to anyone, feel free to join, follow along and have fun. See a short clip of the routine in the video below. Very popular with older Thai locals, are Tai Chi classes that take place all over the park. In the mornings, before 9:00am, you see groups moving gracefully and in harmony, to music or following instructions coming out of a loudspeaker. In different sections of the park, you will find smaller groups participating in other martial arts such as sword fighting. Don’t be surprised if you ran into groups of dance enthusiasts practicing ballroom dance movements. 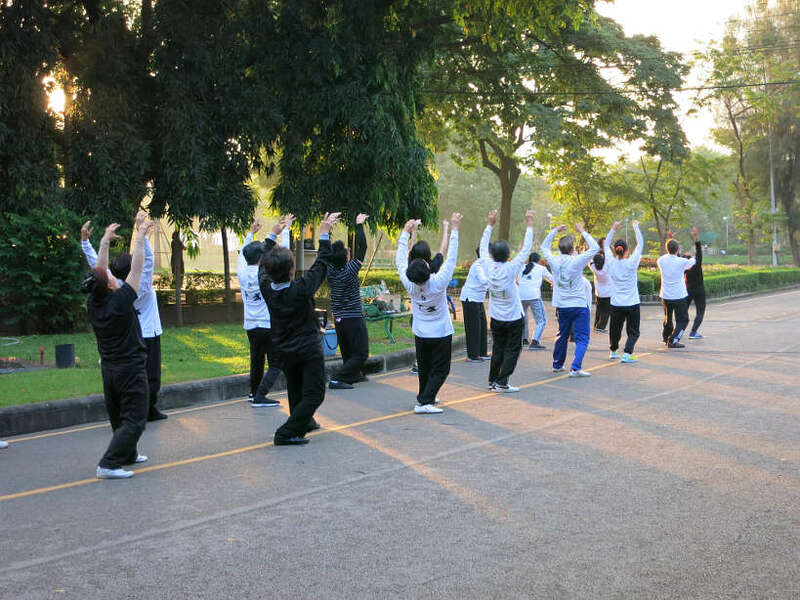 There is always something new to discover when you work out in the mornings at Lumpini Park. Go early in the morning for your workout. Plan to get your workout in before 9:00 am to avoid the heat. Even though you can work out at sunset, we found the park to be cooler in the mornings and slightly less crowded. Plan to stop working out at 8:00 am and 6:00 pm for a few minutes. The Thai National Anthem is played everyday at 8:00 am and 6:00 pm. Blaring from speakers located around the park, you will hear some prelude music, right before the start of the National Anthem. Don’t be surprised to see everyone stop, stand up and pay their respects. Thailand takes the national anthem seriously, so plan to stop exercising and stand up for the duration of the anthem. Watch out for the monitor lizards. 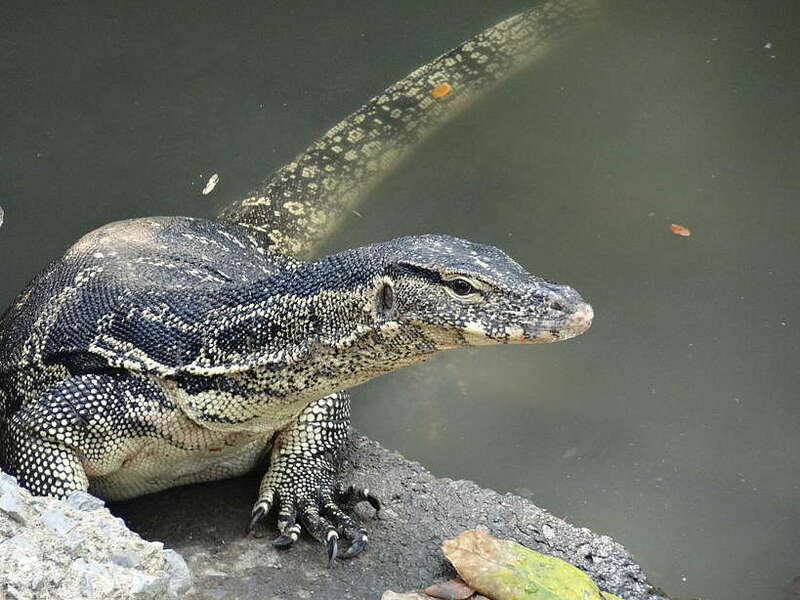 Lurking around the ponds are monitor lizards, which look like mini-dinosaurs. These scary looking lizards can grow up 10 feet long. While they are not dangerous to human beings, as they eat dead fish, turtles, and birds, they can be frightening to encounter on your run or bike ride. 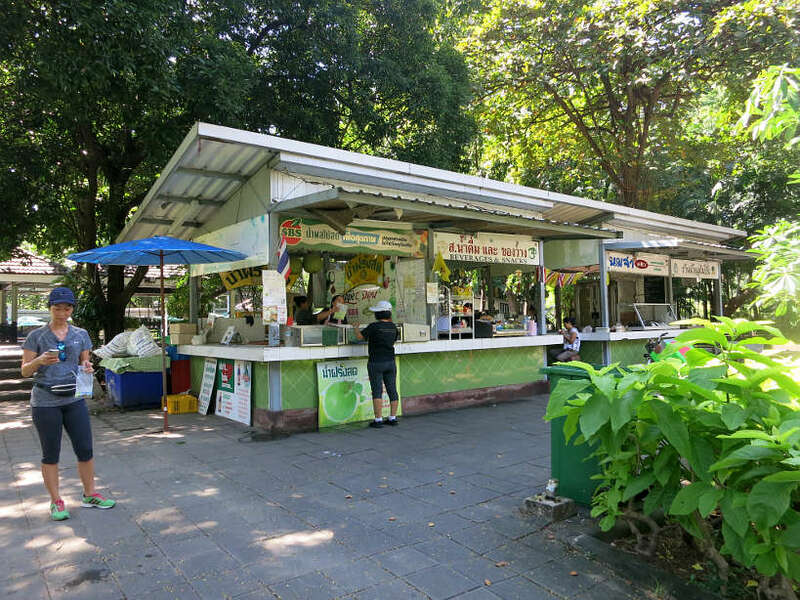 As you walk into Lumpini Park through the main gates, turn left and walk about 400 meters, past the exercise machines and you will find in a food court. The food court has several stalls which cater to the early risers. In the front section, you will find fresh fruits, vegetables, and meats. Further back, are freshly made-to-order Thai foods and soups as well as various treats. For drinks, you will find Thai coffee as well as freshly squeezed orange juice, guava juice and more. We enjoyed breakfast a few times after an early morning run, as well as taking food away to enjoy in the coolness of our home. The food court is open in the mornings and closes at 9:00 am. On the few occasions we worked out in the evenings, we never saw the food court open. However, there are food stalls and eateries around the exterior of the park. So, don’t worry about getting hungry after your workout. Lumpini Park is easily accessible by bus and train. It is conveniently located near two main MRT (metro stations). Silom station, on the west side of the park which is ideal if you are coming from Chinatown. And Lumpini station, on the east side, if you are coming from Sukhumvit. 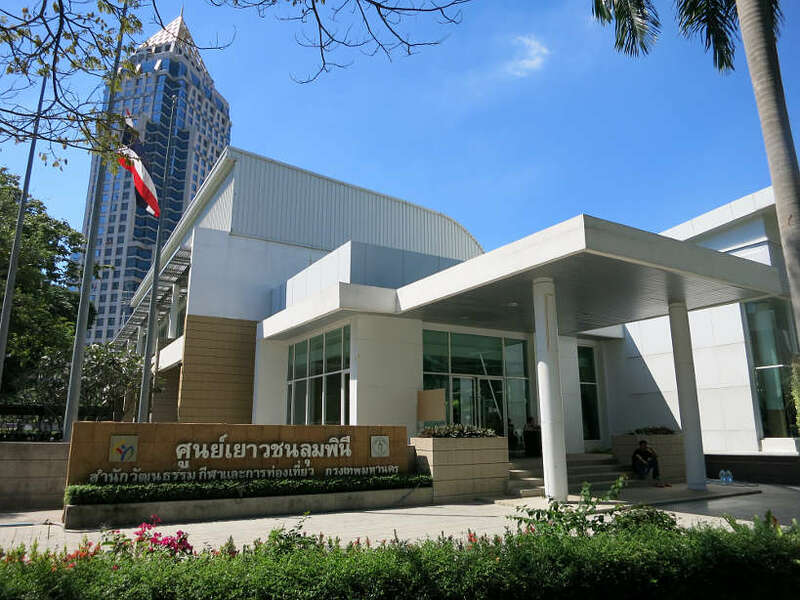 The park is also walking distance from the Sala Daeng BTS train station. Address: 139/4 Thanon Witthayu, Bangkok. Hours: Daily from 4:30 am – 9:00 pm. 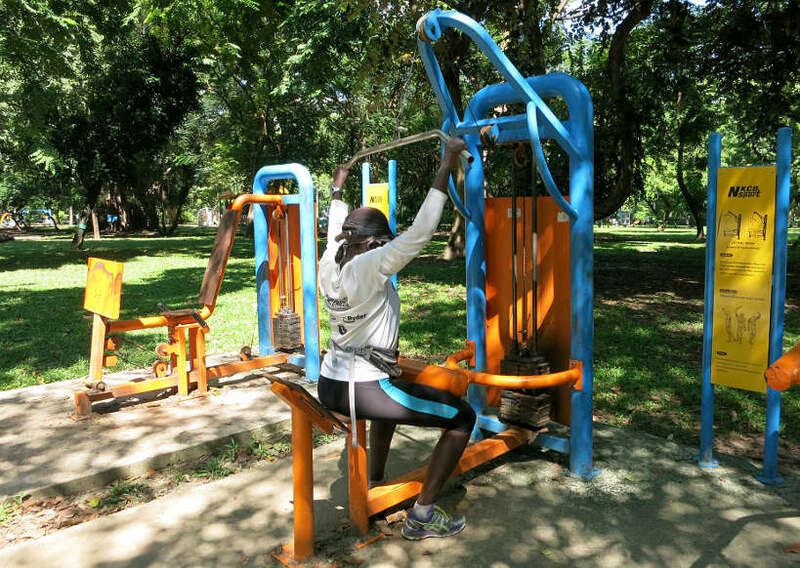 While Lumpini Park is a great venue to keep your daily exercise routine, Bang Krachao is a green haven for longer workouts. It is an ideal escape from the bustling city during the weekends or whenever you have time to spare during the week. 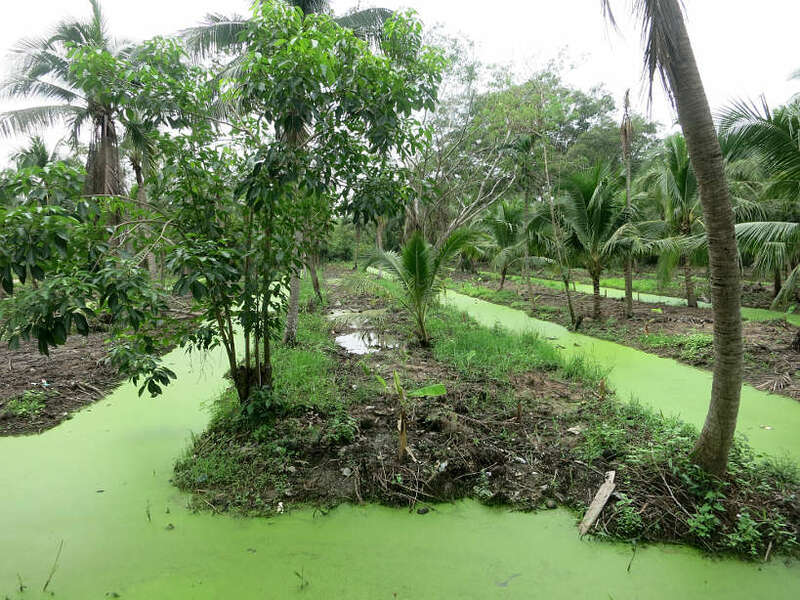 Bang Krachao, also spelt Bang Kachao, has been designated a green area since 1977 with no commercial factories and limited traffic. 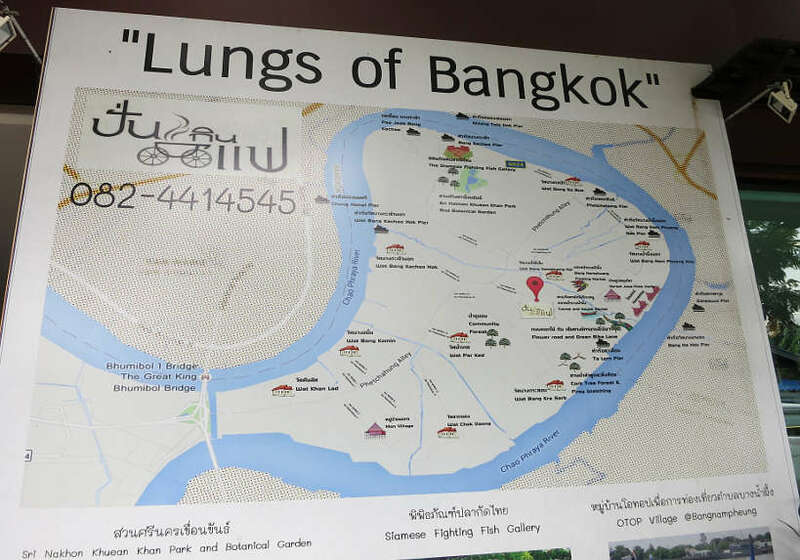 The Chao Phraya River wraps around the area and gave it its name: “the lungs of Bangkok”. Even Time magazine voted Bang Krachao as one of “the best urban oasis” of Asia in 2006. There are plenty of activities that will fits everyone’s agenda in Bang Krachao. Our focus was running in Bangkok, but the area offers much more. 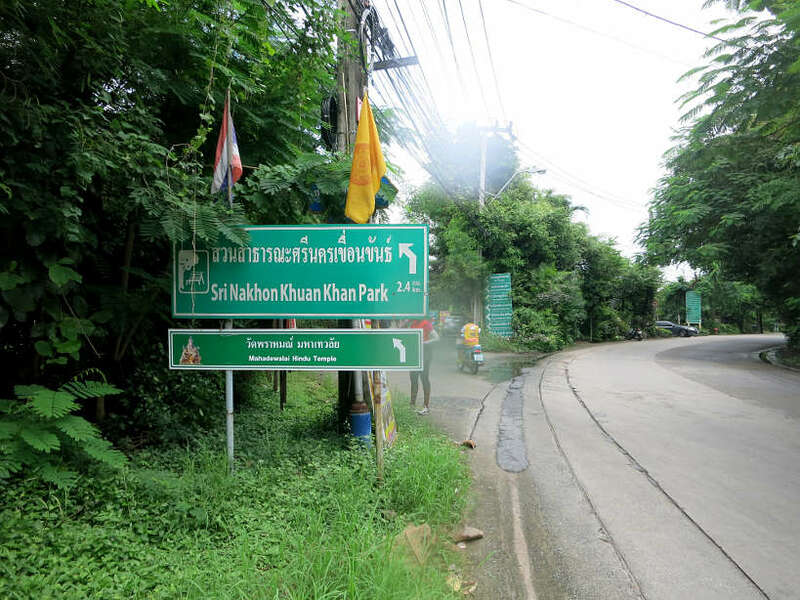 Bang Krachao is ideal for biking as there is limited traffic and you will find mostly motorbikes. The roads are narrow so keep that in mind for the motorbikes and occasional cars. You can also bike on the elevated walkways surrounded by trees and green space. It is easy to rent bikes at Bang Krachao. As soon as you get off the boat, you will bike rental signs at the M Bike shop. The cost is 50 Baht an hour (about $1.41 USD) or 100 Baht for the day ($2.82 USD). If you miss the first bike rental shop, you will find others in the direction of the Botanical gardens. 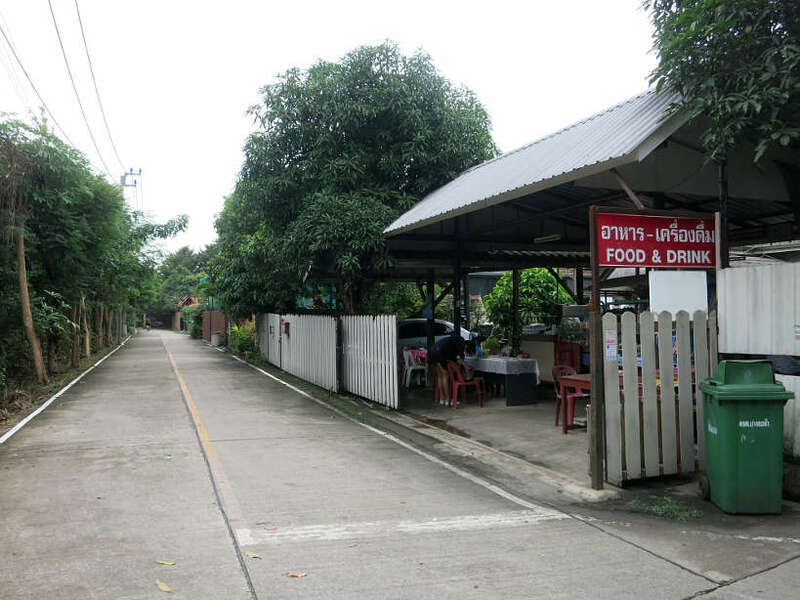 If you are looking to go running in Bangkok for long runs, Bang Krachao is the ideal place to come. You can easily run for 10 miles or more inside the river’s arm that mark the limits of the neighborhood. The road is flat and large enough for you to run on the side when traffic is passing by. We found it best to run “clockwise” around the park and botanical garden. 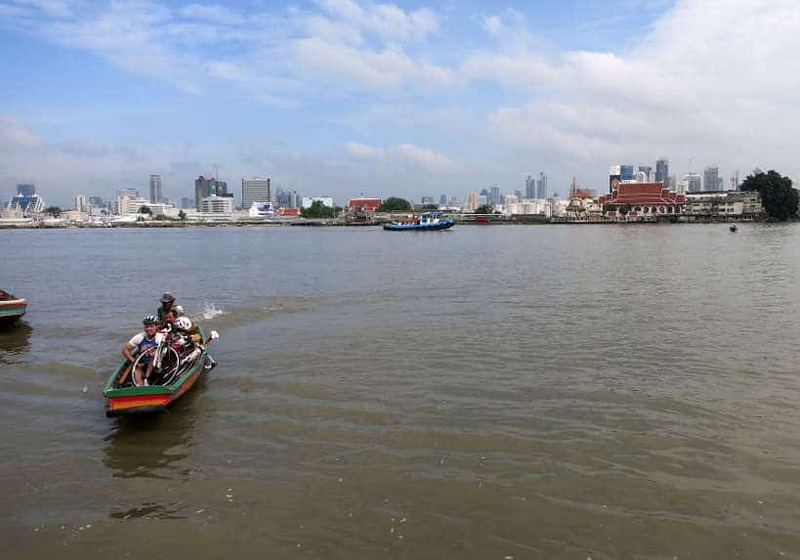 You can easily run from the pier to the floating market and to finish with a tour in the park. This tour is about 10 miles total. You can also easily prolong the run by going further south or exploring the different walkways. 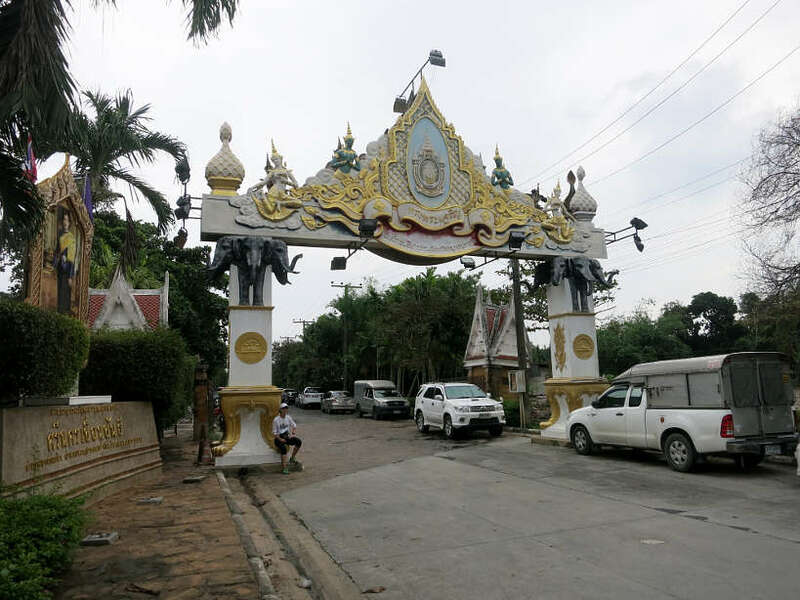 There are many religious sites inside Bang Krachao that you can visit. 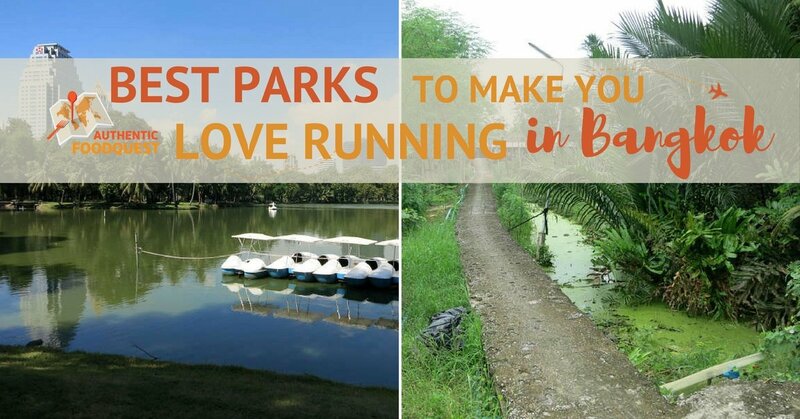 Here we highlight a few that are worth checking out while running in Bangkok. On your way to Bang Krachao, at the pier before crossing the river, you will see Wat Khlong Toei Nai. This is a beautiful and large Buddhist temple that is very interesting to explore. Within Bang Krachao, you also have many temples to visit and that could easily keep you busy for the entire day. The Buddhist temple Bang Korbua is one of the first temple you will see if you arrive from the north going to the east side of Bang Krachao. If you arrive on the west side, you will see Wat Bangkrachao Nok near the pier. Wat Bang Nam Phueng Nok is on the eastern side next the river and has an impressive golden Buddha. 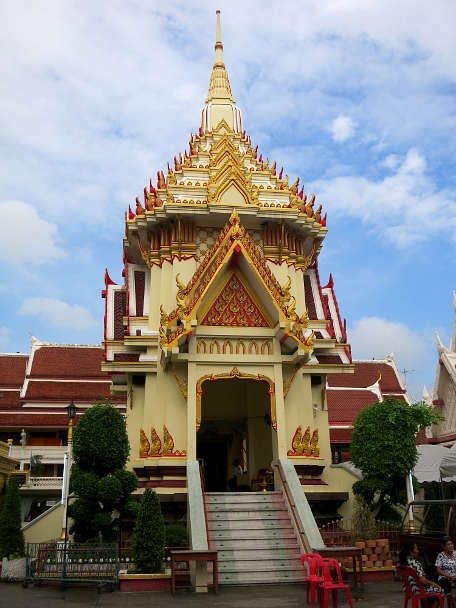 As you approach the floating market, one of the first Wat’s (temple) you will see is Wat Bang Nang Phueng. 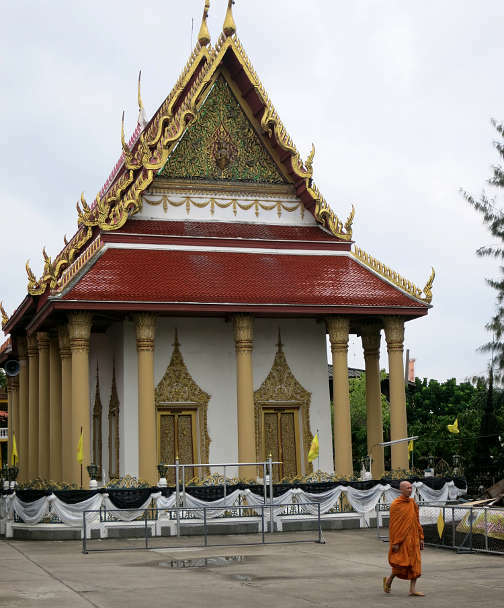 If you want to see more, keep going to the westside where Wat Rat Rangsan is located. 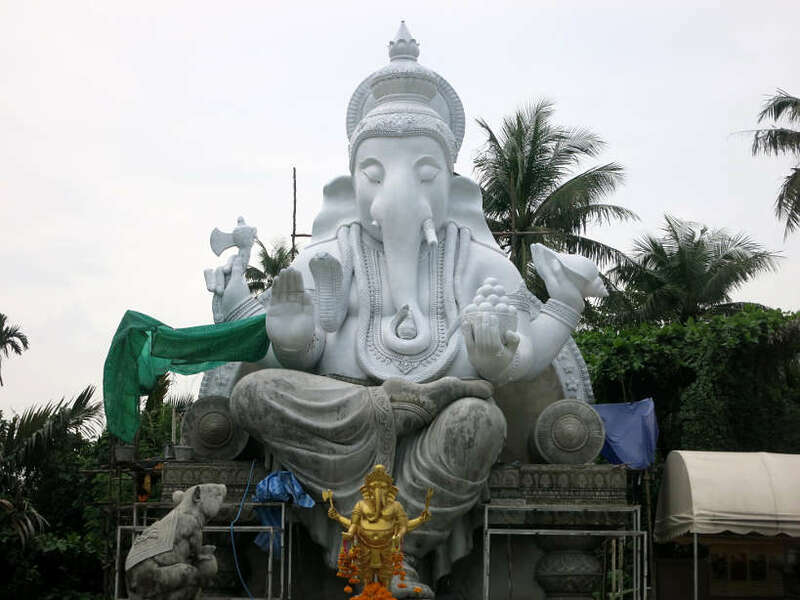 We even stumbled on this interesting representation of Hindu God, Ganesha (Lord of Good Fortune) on our way back to the Botanical gardens right before Wat Rat Rangsan. The botanical gardens is part of the Sri Nakhon Khuean Khan Park. This small park and is about 1 km south of the main pier. The park entrance is free and motorcycles are not allowed! You can easily spend half a day walking around and relaxing in the gardens. There are two main areas. At the entrance of the park, there is a large pond, a pavilion and elevated wood walkways. Further into the park, you will find a preserved area with a lush forest. It is also said to be nice for birdwatching, which you can see the birds from the bird tower. 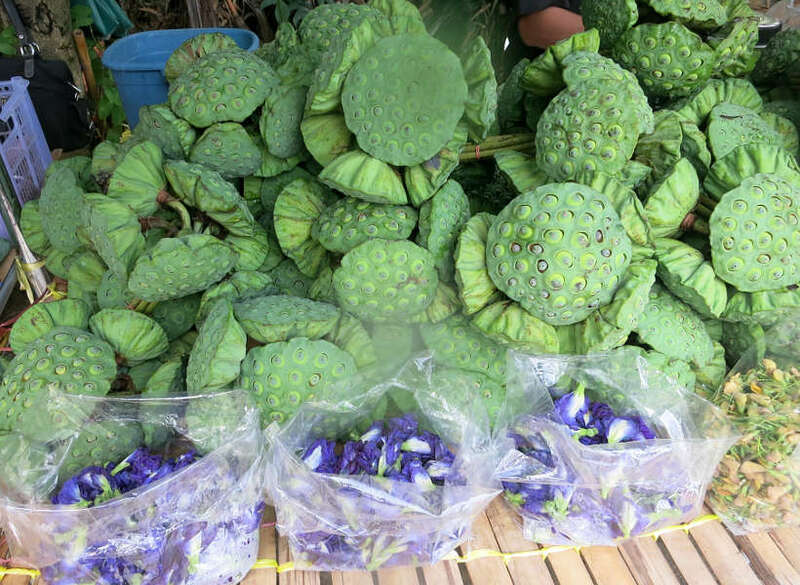 During the weekends, one of the main attraction of Bang Krachao is its floating market. 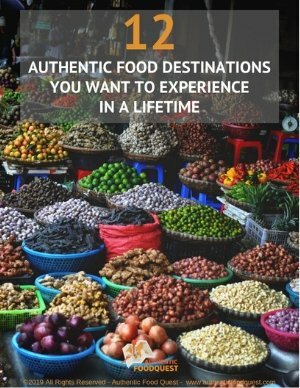 As we mentioned previously in our article 7 Bangkok food markets that will make you salivate, this floating market is not a traditional floating market but rather, a tourist attraction. 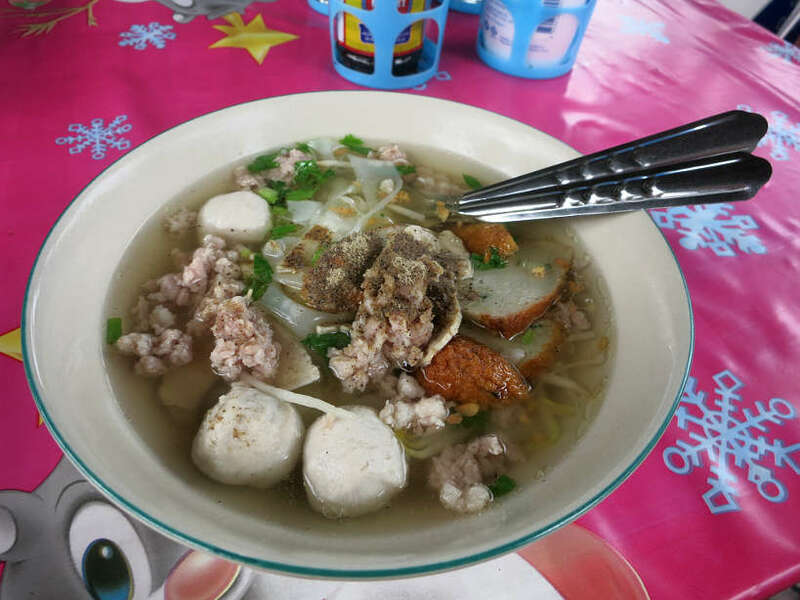 However, if you are going to be in visiting Bang Krachao, it is worth visiting and sampling the local foods while you stroll by the water. The road leading to the market can get crowded with cars. The best advice would be to come early and either take a bike, run or walk. When it comes to food, Bang Krachao offers many options. You do not have to worry about about leaving your workout hungry. Our favorite spot was a small food stop on our way to Bang Korbua temple. We first passed this home that their gate opened and were cooking in the garage, and were tempted by the delicious smells and generous smile of the lady cooking. After our run, we decided to go back and taste their specialty, Thai noodle soup. Rosemary ordered a Thai omelette while I had one of the best noodle soups. Made fresh, the broth was well flavored with delicious herbs and spices. The noodles were thin and flavorful, and the pork was lean and tasty. A surprising and delicious treat! 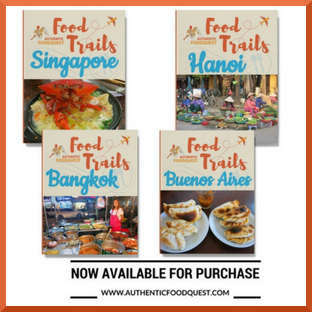 For more food options, you will find additional places around the botanical gardens along the main roads and at the floating market. 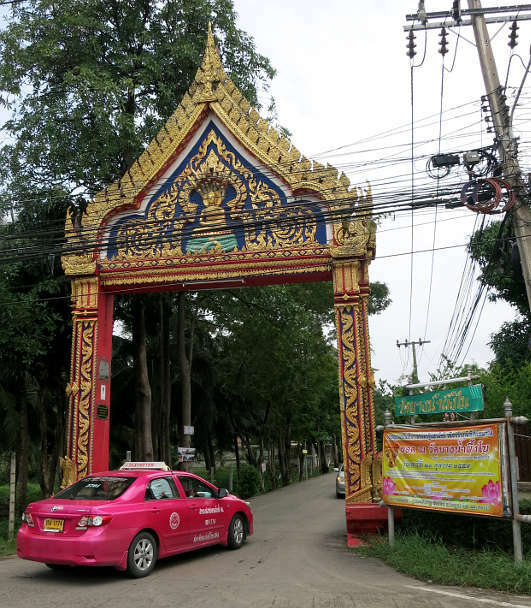 The best way to get to Bang Krachao is to take Uber to Wat Khlong Toei Nok. An even better option is to take the bus #47 whose final stop is next to the entrance of the Wat, on your right hand side. From the Wat, walk on in the small paved road toward the pier. Don’t expect a large pier! This is a tiny local pier where you will find small wood boats that will transfer you on the other side. The boat will drop you on the dock where you can start running or walking or pick up a bike for rent before you start your journey in Bang Krachao! The cost for the boat transfer is 10 Baht per person (about $0.28 USD). 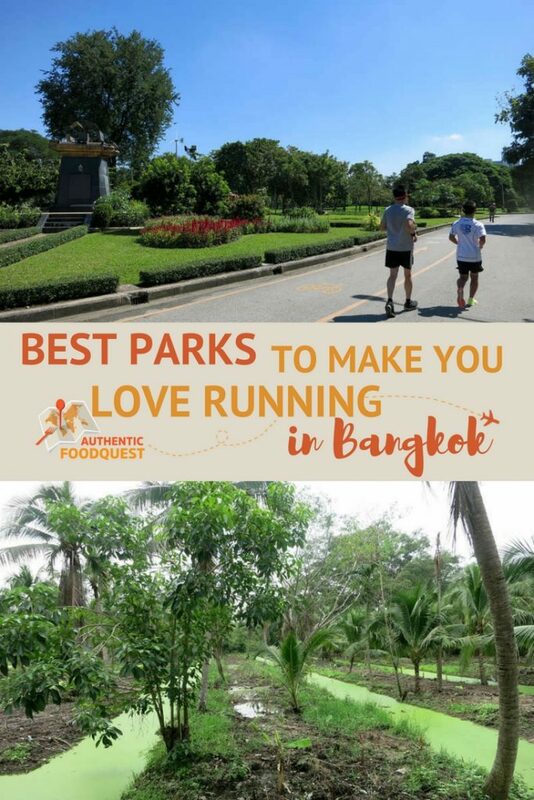 As a food destination, Bangkok also offers wonderful outdoor spaces to exercise and escape the urban grind. 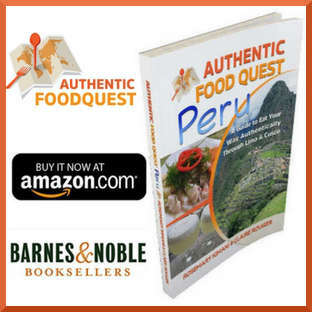 If you are are indulging in the local and delicious foods, it’s highly likely you will start feeling guilty and want to move a little more and stay in shape on your travels. 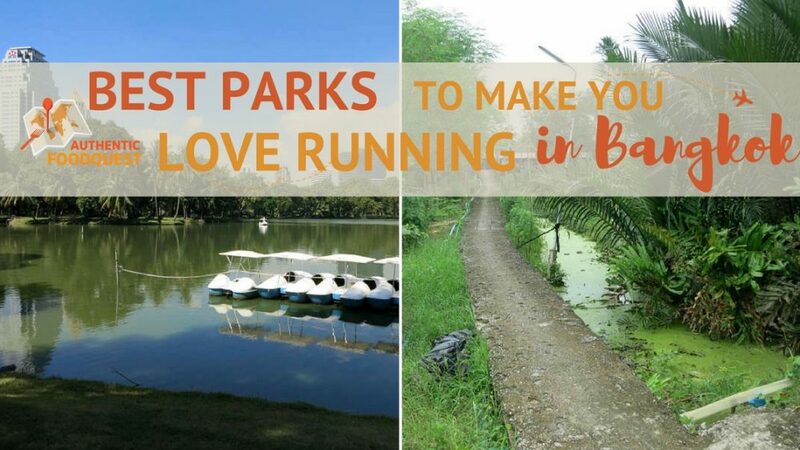 Lumpini Park and Bang Krachao are two excellent spots to go running in Bangkok. Not only will you enjoy discovering more the city, you will also enjoy the wide running paths with no crowds to fight. Stay fit and keep exercising on your travels to Bangkok! What about you? Tell us in the comments below how do you keep fit on your travels? I do love how you guys show us how to work off all that we eat while exploring. Lumpini looks really quite gorgeous and perfect for working off many meals. Thanks so much Sara! We believe it is important to eat the local delights and stay fit as well 🙂 Lumpini park is a truly a wonderful place to do both. Cheers! I love the free muscle gym. What a great way to encourage people to do more exercise! That’s awesome that you like the muscle gym. We were really impressed as well at the equipment the city of Bangkok makes available for free. Thanks for your comments!! Thanks Anne for your comments. Eating and keeping fit do go hand in hand 🙂 Cheers! Hmmm……running and love – two words that don’t go together in my vocab. Running and must do maybe 🙂 Great article. It’s sometimes really hard to know where to exercise, and exercise safely in a new city. You’ve provided some great options here, not only for running but cycling as well. The part I love are the food recommendations at the end. Rightly or wrongly, we always reward ourselves with something tasty at the end of a big walk/run. Lol…Kerri, running and love “can” go hand in hand 🙂 It is indeed difficult to find great spots to work out in new cities. Fortunately, Bangkok has Lumpini park. Agree, there should be “some” type of reward after a hard workout!! Cheers. Thanks Sumti for your comments. Lumpini Park has everything one would need to keep healthy in Bangkok. We were quite impressed with the facilities and the upkeep of the machines. Hope you can get to Bangkok soon and enjoy the park. Thanks for your comments. You are right about people staring and looking at you running outside. We’ve had this experience in smaller cities on our quest. We simply ignore them and continue our fitness routine. 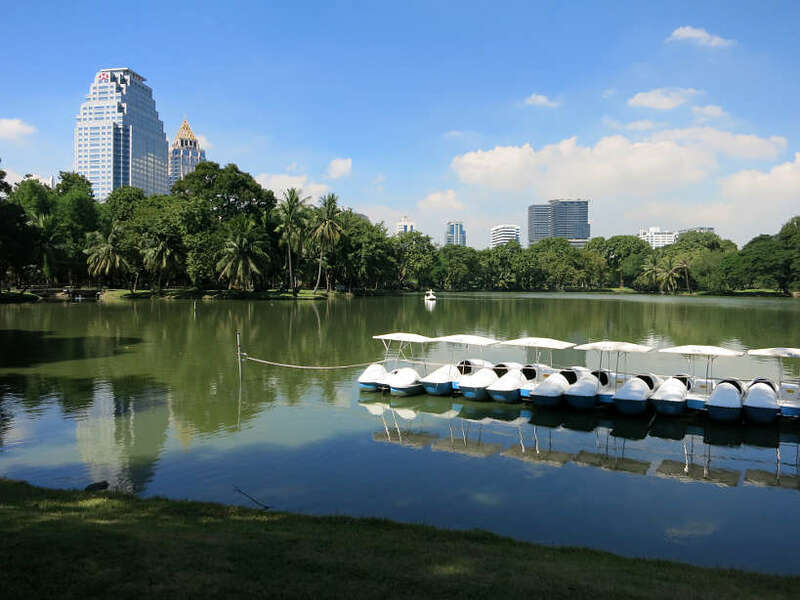 However, it does help to be in cities like Bangkok, where everything is set up in the park and locals take advantage of the amenities as well. Thanks Joan for your comments. I have to admit I really hate running, I guess I am just not a sports person. But with views like these I might easily reconsider! An omelet or noodle soup as a reward afterward sounds pretty good as well! There is something to said about having a “treat” at the end of a workout. Sometimes that can be a powerful motivation…even for us. You would like Lumpini Park and you can also use the machines, take the free aerobics class or join the locals with tai chi. There are certainly more options than running. Cheers Sianna!! I am off to Thailand in exactly 29 days from now. I had a plan to visit Lumpini Park, now I will take my running shoes along with me. And it is just a 5mins walk from the hostel where I am staying. You will love Lumpini Park…especially if it is only 5 mins from where you will be staying. Our advice is to go early, before the sun get’s too hot. Have a wonderful time in Bangkok. Cheers! Thanks so much Carmen. We believe that it is important to stay fit and healthy on one’s travels. Cheers! It is very interesting to read your post. I learned useful things for the trip. For example, what sounds hymn at a certain time. It is important to know and show respect. Thank you. Hi David, glad you picked up useful tips for your trip to Thailand. We were also surprised to hear the national hymn the first time in Lumpini work, but do like the locals do, and show respect. Thanks for your comments.